The Heavyweight Champion of the World from 1934 to 1935, he was born in Omaha, Nebraska and dropped out of school in the eighth grade to work with his father on a cattle ranch and developed great strength. He turned pro in 1929 and progressed steadily through the ranks beating the likes of Walter Cobb, King Levinsky and Tommy Loughran. 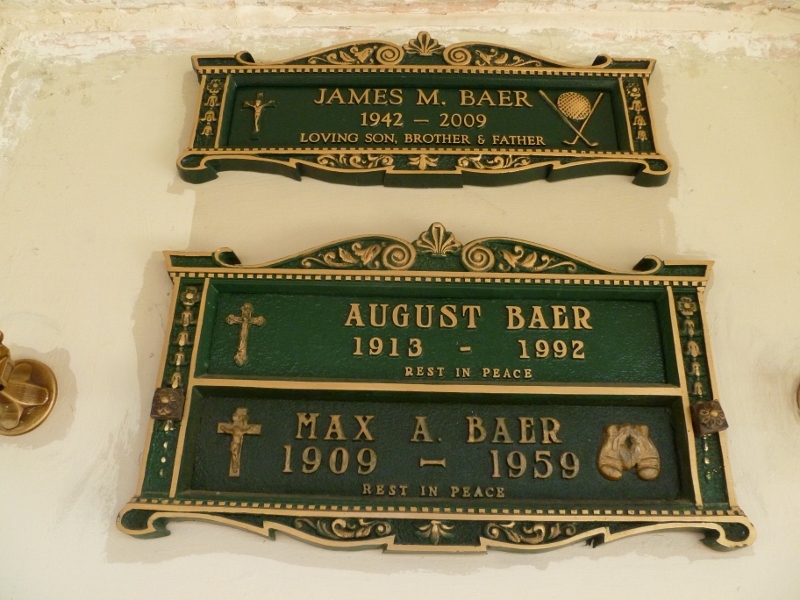 In 1933, the wise-cracking Baer fought a tremendous fight against rugged Max Schmeling at Yankee Stadium. 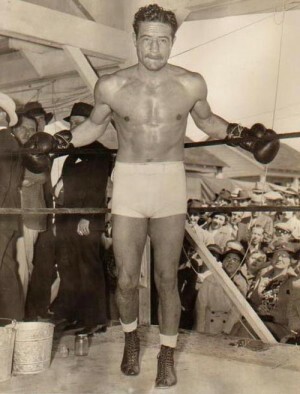 Max Baer dominated the German slugger and the referee stopped the fight in the 10th round. He then took on Heavyweight Champion Primo Carnera in 1934 at Madison Square Garden, unloading on Carnera throughout the bout, knocking him down 11 times in 11 rounds and winning the crown as the new Champion. He then fought many exhibitions over a year’s time but lost the title in his first defense against Jim Braddock in 1935. He would continue to fight for another 6 years then finally retired in 1941 with a record of 72-12-0 with 53 knockouts. He then had a successful nightclub act both individually and with Slapsie Maxie Rosenbloom. His son Max Jr. became very famous also as ‘Jethro Bodine’ in the television series “The Beverly Hillbillies”. In 1995, 36 years after his death, he was inducted into the International Boxing Hall of Fame.